The most gratifying aspect of the e-mall marathon otherwise known as holiday shopping? Well, aside from buying thoughtful presents for loved ones, it’s also fun indulging in just a smidge of retail therapy for ourselves (or better still, asking your special someone to buy it for you!). After all, an occasional splurge is the positive reinforcement you need to get you through the stressful holiday season in one piece, which is why LUISAVIAROMA should be the next stop on your list. Scroll down to shop these splurge-worthy holiday gifts. Holiday parties coming up? 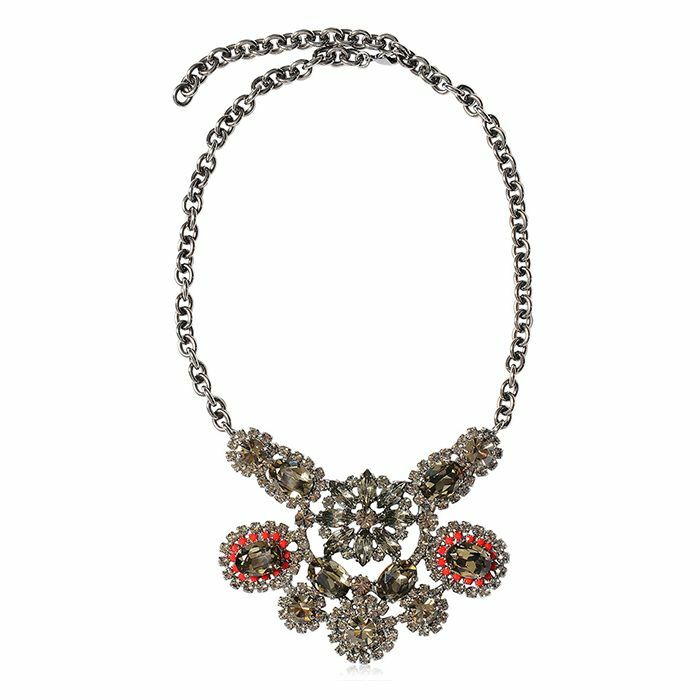 Make this ornate necklace the centrepiece of your cocktail dress. Want a hot heel? Sometimes, an ankle-strap pump is all it takes. Add these pretty yet understated party earrings to your look. This Burberry blanket coat reads cosy (and chic) all over. Feeling festive? Show off these colourful baubles with a ponytail or updo. For a luxe look, opt for a bomber jacket in an unexpectedly plush texture. Pair this relaxed striped jacket with boyfriend jeans for a weekend outing. Brighten up any ensemble with a slouchy satchel in cornflower blue. A feminine, wide-brim hat helps pull together a cold-weather outfit. Already own a black leather jacket? Now you’ll have to check this rich burgundy style off your wish list. Punch up a sleek, monochrome outfit with this covet-worthy bag. Warm up your weekend uniform with this stunning camel coat. This furry vest is the perfect layering piece over cocktail dresses. Instantly up your jewellery game with these opulent drop earrings. Loves these winter pieces? Shop more gifts at LUISAVIAROMA here.